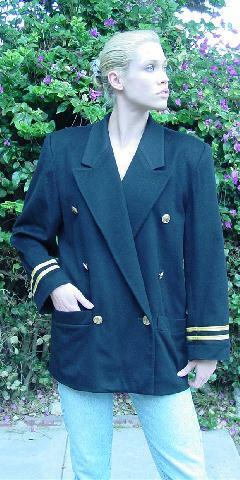 This vintage Dior black cashmere and wool jacket is double breasted and has 2 rows of gold piping on each long sleeve. There are 6 gold-tone logo buttons on the front. There is a black interior button on the right side. It has shoulder pads and 2 open roomy lower outer pockets. 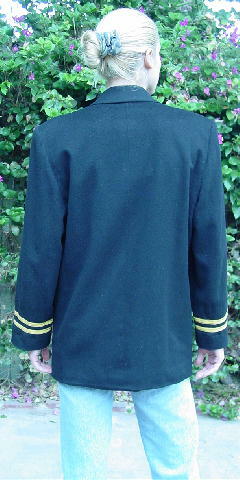 With the cut and the gold piping, it looks like a naval captain's jacket. 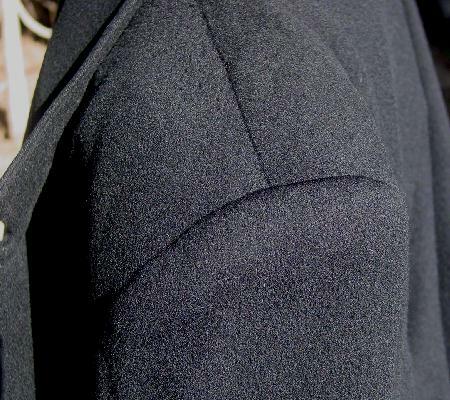 The left shoulder has two indentations that appear to have been from where a scarf had been pinned on (the stylist used to always accessorize with scarves and brooches). The tag says size 8, but it fits like a 12. She wore it a lot and always got compliments on it. It was also worn in a movie. 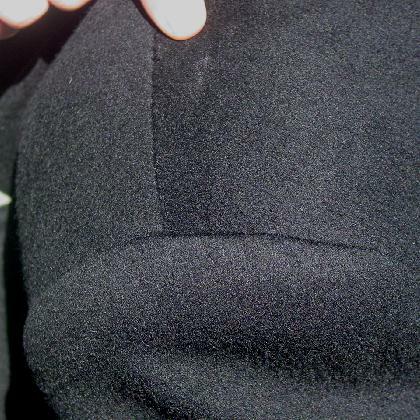 shoulder to end of sleeve 23 1/2"
side to side bottom hem 20 1/2"